Bright spot: Healthcare in Latin America - WorldCity, Inc.
For businesses that serve the healthcare sector, Latin America offers opportunities that have yet to emerge in the United States or may be long gone. Yet accessing those markets takes patience and skill. That was the message from three executives who’ve worked for decades in the region: Daniel Salvadori, senior vice president, Latin America, in Abbott’s Established Pharmaceuticals Division; Alfredo Granai, formerly president at DePuy Synthes Latin America, a Johnson & Johnson company; and Alejandro Infante, founder of Procursum Medical, a supplier of medical devices, services and operational solutions focused on Latin America. The trio made up the guest panel at WorldCity’s Third Annual Healthcare Forum held Nov. 18, 2016, as part of its Global Connections series. Fueling expansion in Latin America’s healthcare spending is “the continuing growth of the population coming into the consumption of healthcare,” said Salvadori, whose company manufactures and sells both legacy pharmaceuticals and generics in the region. Government mandates in many Latin American countries also are driving demand for healthcare outlays, though financial market weakness is reducing the ability of some governments to fund initiatives, added Infante. To give the audience context, WorldCity CEO Ken Roberts asked Infante to compare Latin America with China. “I think China is a frame of reference for everybody,” Infante said. As a region, Latin America accounts for about 55 percent of China’s GDP, and healthcare spending exceeds 8 percent of GDP, compared to China’s 6 percent. Per capita, Latin America’s healthcare spending is triple that of China, he said. Yet Latin America’s market is fractured by differences in economic development, culture, language, and even in health. For example, the rate of respiratory diseases is higher in Peru due to pollution and smoking, while women’s health is a faster-growing business in Colombia, as more women enter the workforce, he said. Raul Hernandez, a Florida International University alumni wanted to know if Latin America’s practices might transfer to the United States. “Could you talk about parallels that could impact our health care?” he asked. Also under discussion: whether Latin America’s recent economic dip might reverse in 2017. The answer? It depends on the country and products. For example, some governments in Latin America are not allowing prices for single-use medical products to rise as fast as their currencies have been devaluing, said Granai. The influence of technology was also of interest. 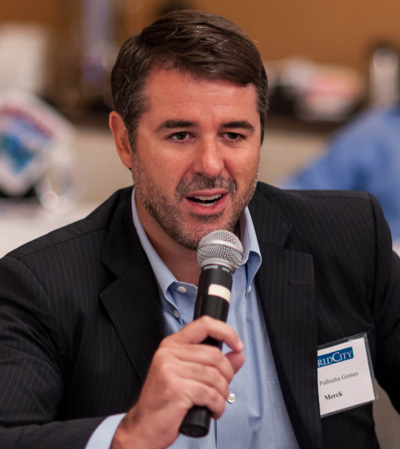 In Latin America, “the ability to bring innovation is much greater because there are fewer barriers,” said Rafael Palhinha Gomes, head of business development at Merck Consumer Health. What, he asked, might technology hold for the healthcare field? Experts expect that trend to expand in the United States as well. Will policy changes shift manufacturing? 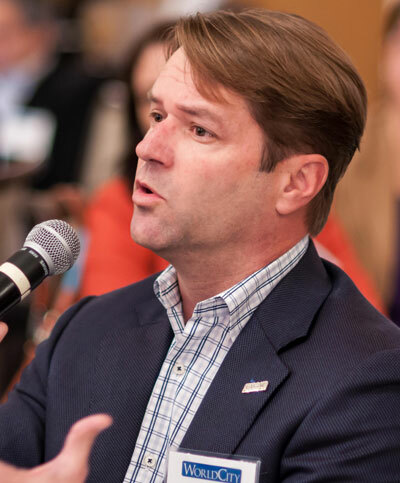 With potential policy changes affecting trade, “what do you see as hot-spots for manufacturing and sourcing?” asked Joe Rodriguez, vice president of sales and marketing at Seaboard Marine. “It’s too soon to tell,” said Salvadori, adding he didn’t expect many changes when it comes to pharmaceuticals, because there’s little production for U.S. sale. Indeed, the trend in Latin America is that Big Pharma is closing plants in order to centralize production, said Granai. But it’s a different story with medical devices, said Infante, noting there are clusters of device makers in Mexico and Costa Rica that supply the U.S. market. “It would be very disruptive to change the supply chain in any way,” he said. 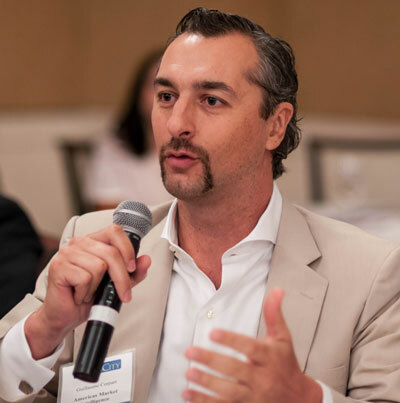 Carlos Madrid, director of business development at Haemonetics, a manufacturer of blood processing technology, asked about doing business in Cuba and Venezuela. Abbott can’t operate in Cuba now because of the U.S. embargo on the island, and Cuba has its own pharma industry that could eventually emerge as a competitor, Salvadori said. In Venezuela, Abbott has stopped sales because of problems getting its money out, he added. 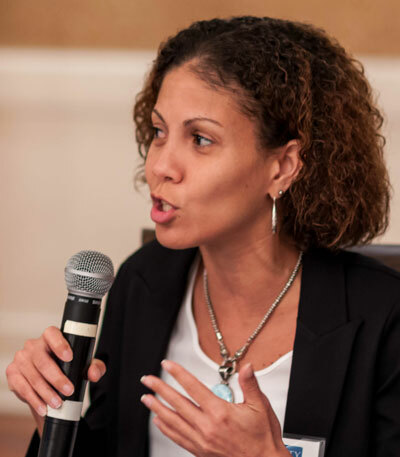 “How would you consider the role of Miami as the center of your industry when it comes to Latin America?” asked Nehama Bikovsky, president of Maritime Consulting Enterprise, a global consulting company with expertise in the Caribbean and Central America. 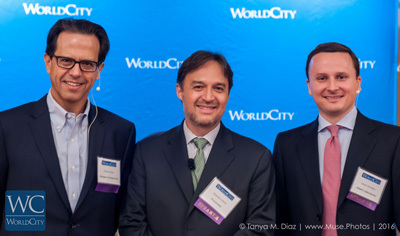 Global Connections is one of four event series put on by WorldCity to bring together executives in greater Miami on international business topics. 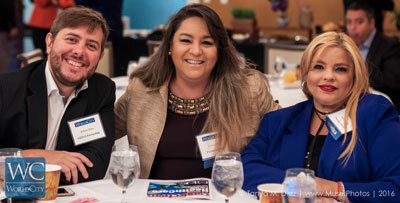 The Global Connections series is sponsored by the Florida International University’s College of Business and Audicom Productions. The next Global Connections is set for Jan. 27, 2017, featuring WorldCity’s annual Global Economic Outlook.